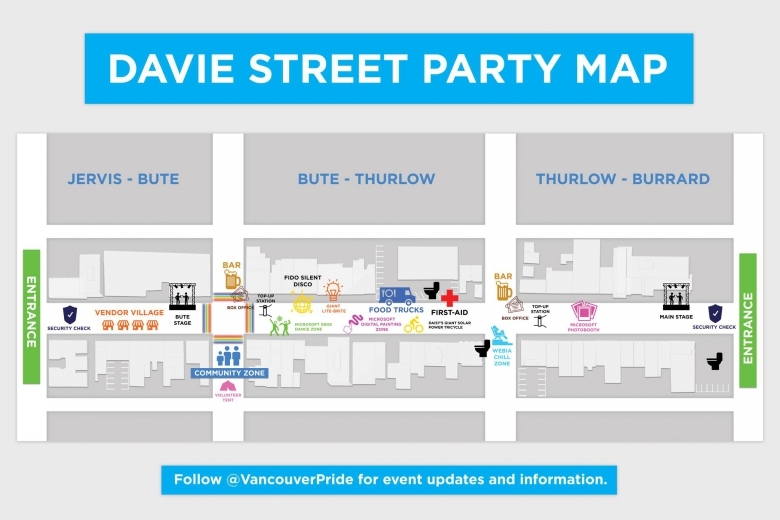 The Davie Street Party is back and better than ever! Hot off the heels of the launch of Jim Deva Plaza, the Davie Village is poised to come alive on Friday, July 29 for the Davie Street Party. 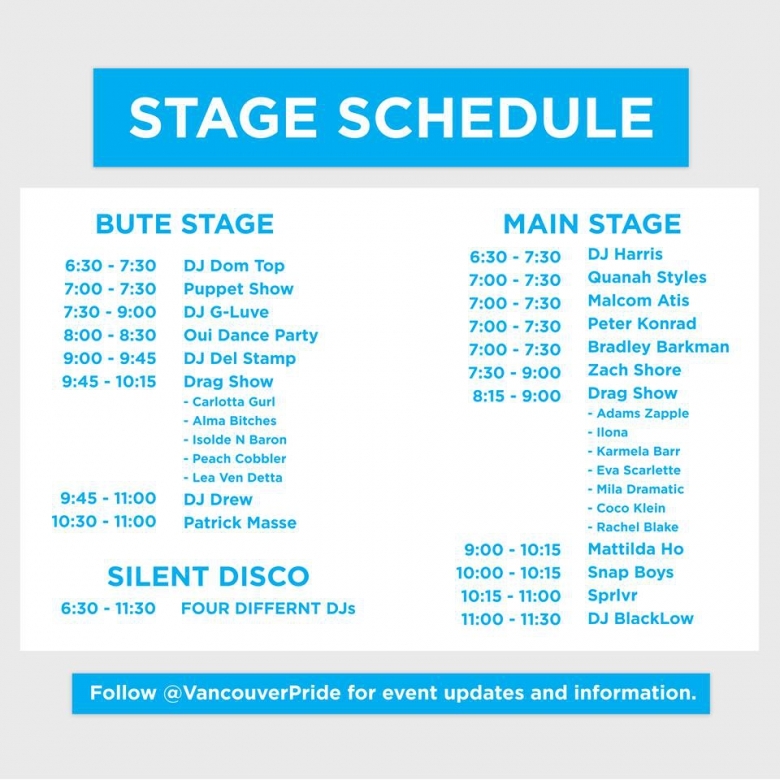 Long one of the most anticipated events at the Vancouver Pride Festival, this year’s Davie Street Party promises to be better than ever! Alcohol sales at the street party are going to be cashless this year thanks to the new RFID wristbands which are being introduced. Wristbands can be purchased in advance online from the Vancouver Pride Society or at Celebrities Nightclub (1022 Davie Street) this week from 12:00 to 5:00pm. Funds can be added online or at several “Top-Up Stations” located at the corner of Thurlow and Davie and Bute and Davie. All unused funds added by credit or debit will be refunded approximately 10 days after the event. How easy is that? So get out there and have fun! Happy Pride, Vancouver! Photo credit: Danny Gray Fox via Daily Xtra.